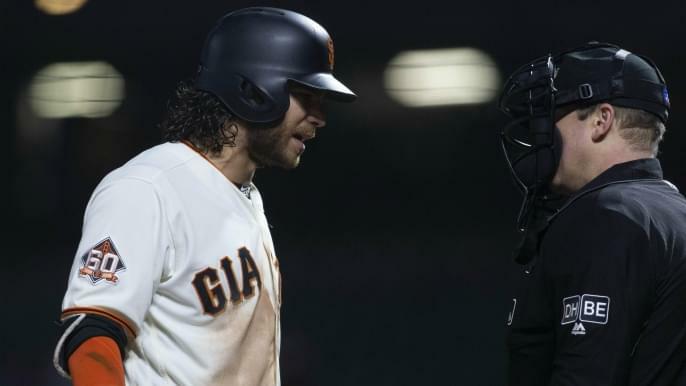 Brandon Crawford is usually an understated player that simply just goes about his business on the field and lets his play do the talking. However, Thursday night’s game against the Colorado Rockies was an exception. Crawford was ejected after apparently contesting a questionable strike three call by home plate umpire Chris Segal. But according to Crawford, he didn’t even know he was ejected from the game until he reached the Giants’ dugout. Tom then likened the ejection, which according to Crawford was the result of him refusing to pick up his bat, to him telling his kids to clean up their room and them refusing. Crawford agreed. Tom then asked if Crawford got any explanation from Segal as to why he was thrown out. Lastly, Crawford expanded on his frustration with Segal, and why he went back to the plate to have words with him. Listen to the interview below to hear Crawford on his ejection and the umpires.